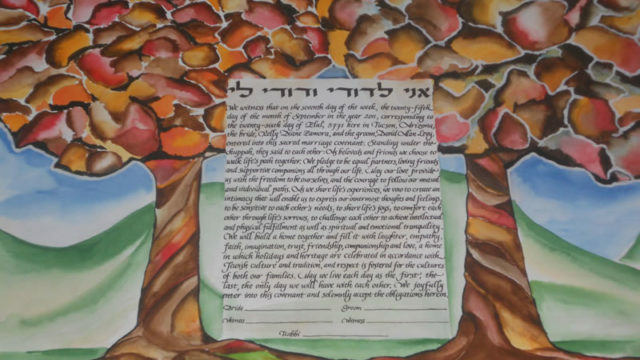 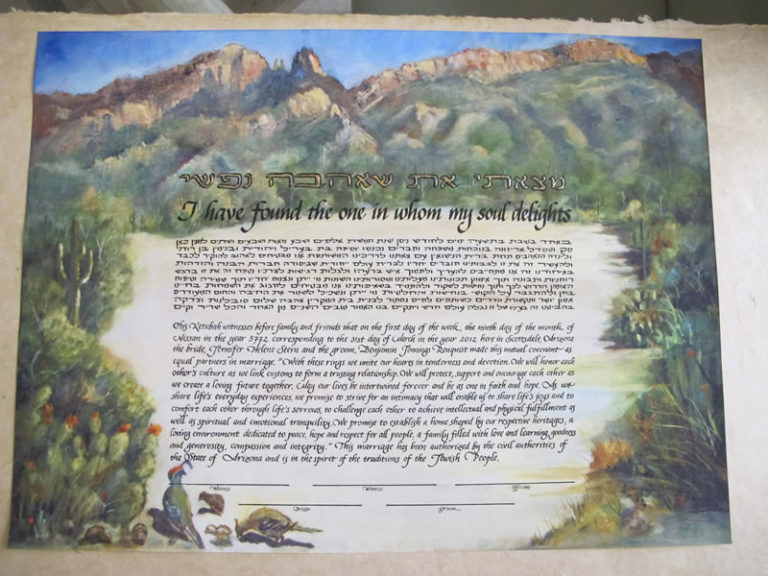 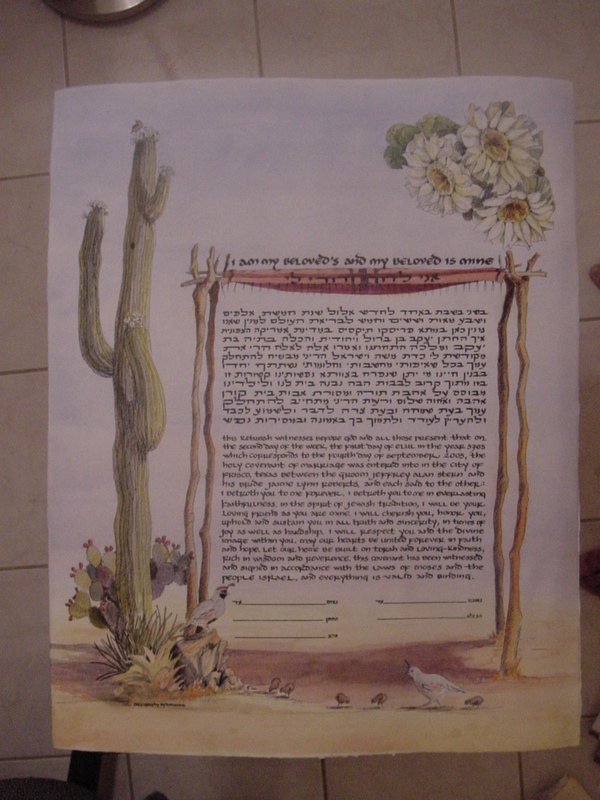 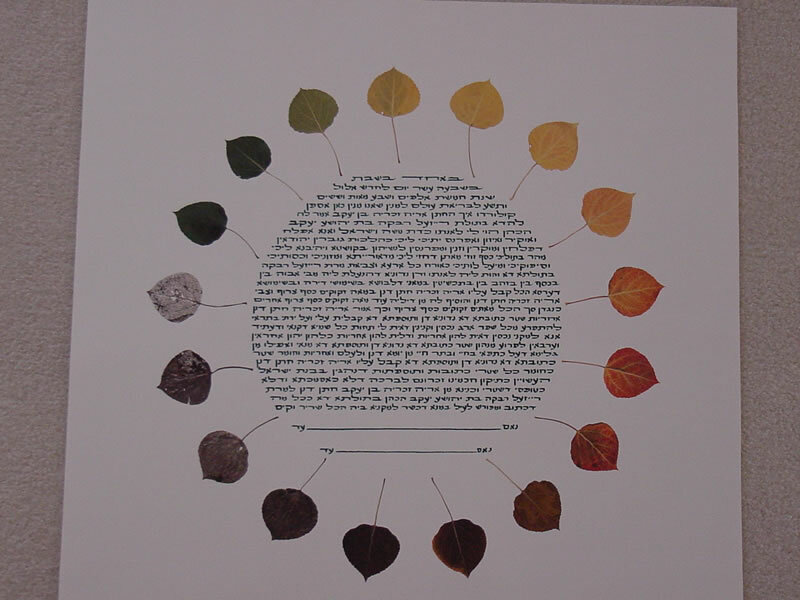 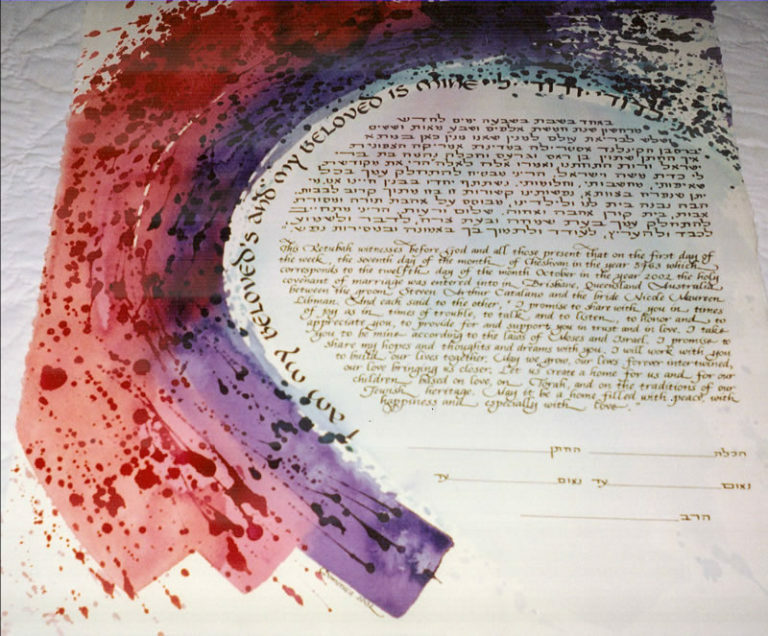 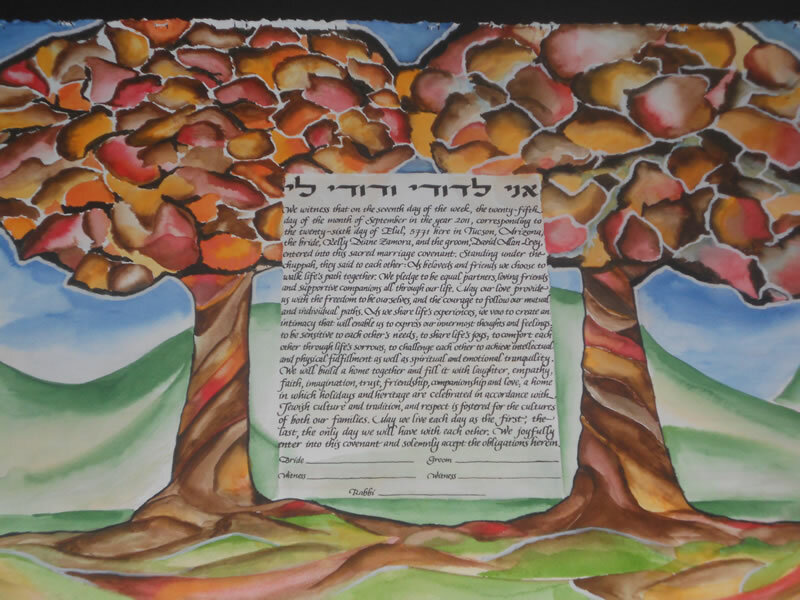 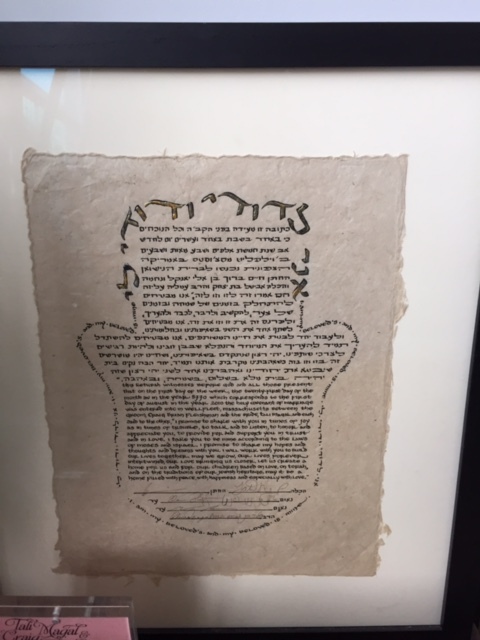 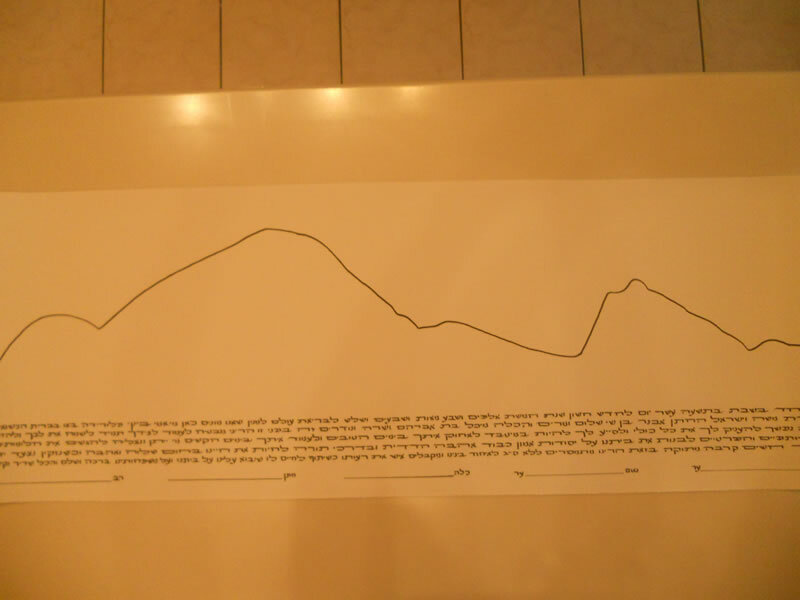 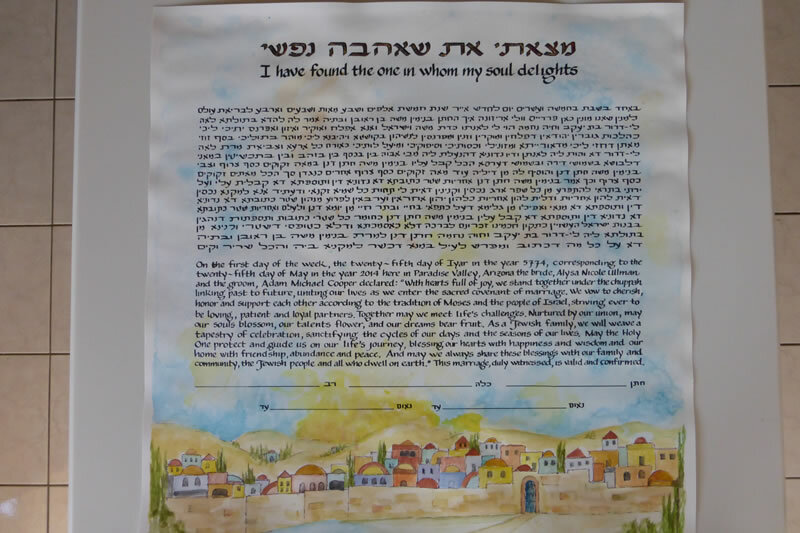 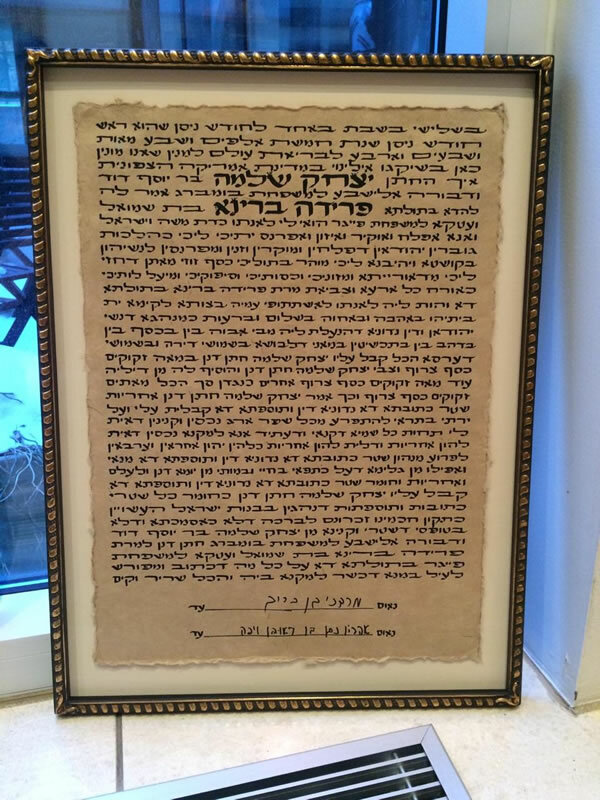 Ketubah or Ketubot…….The Ketubot is the plural for Ketubah. 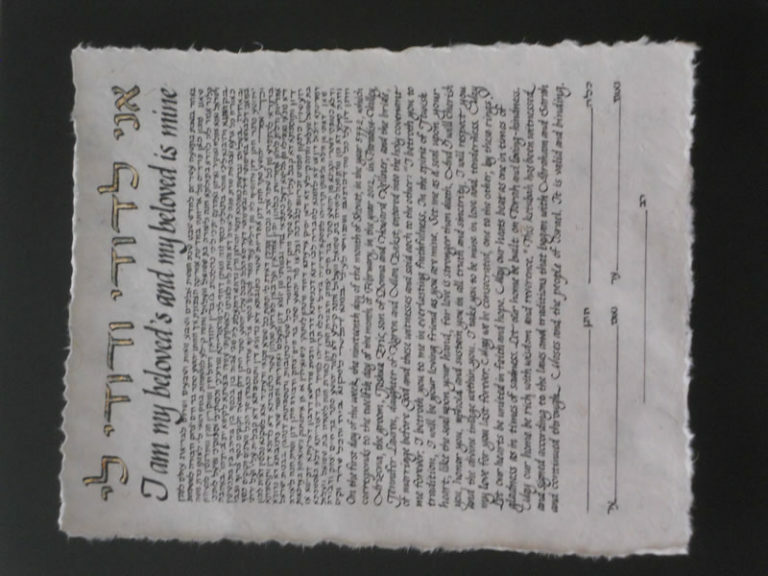 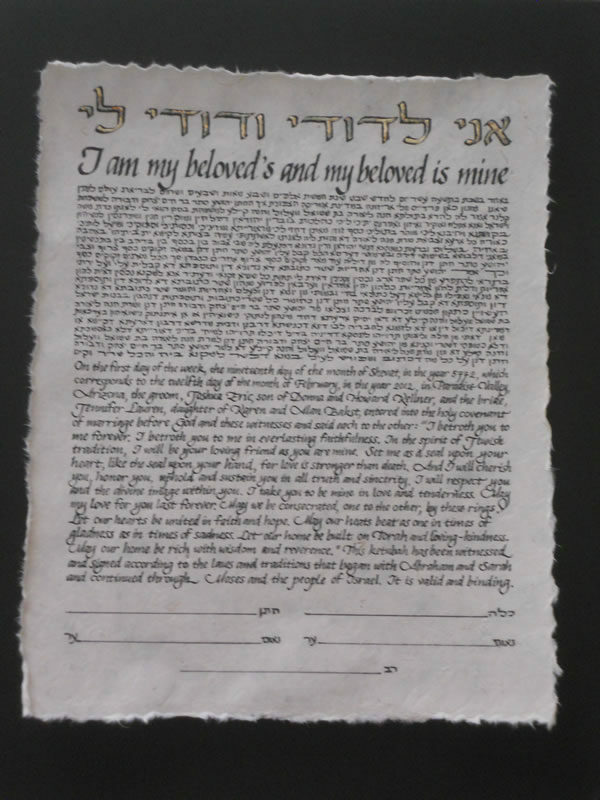 The Ketubot is one of the oldest and most central elements of a Jewish wedding: a contract between the bride and groom outlining their respective rights and obligations. The Ketubot text is often read aloud in Aramaic and English during the wedding and it is traditionally the first decoration hung on the wall of the newlywed’s home. Most Orthodox and Conservative Jews have largely maintained the standardized Ketubot text. 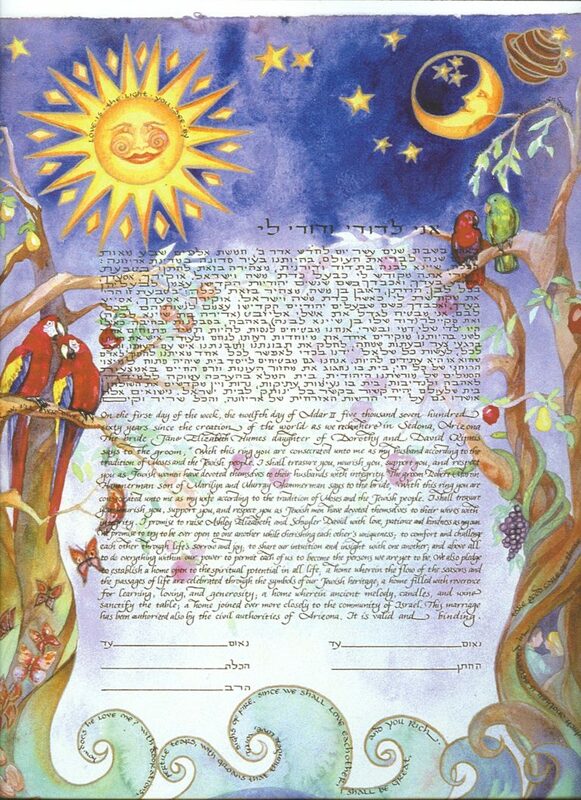 On the other hand, Reform, Interfaith and gay couples often write their own paragraphs, reflection their feelings for each other. 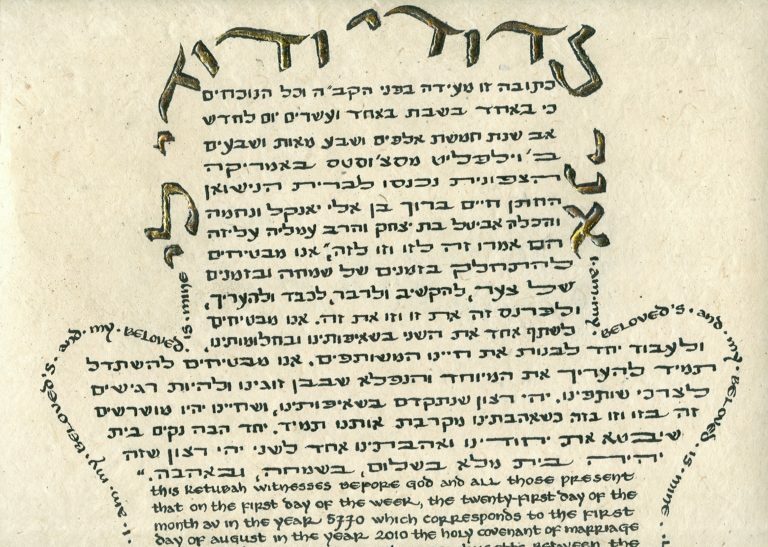 Domenica draws all versions of Hebrew for Ketubot, ranging from the traditional Aramaic, Conservative with the Lieberman clause, to the Egalitarian and more modern texts. 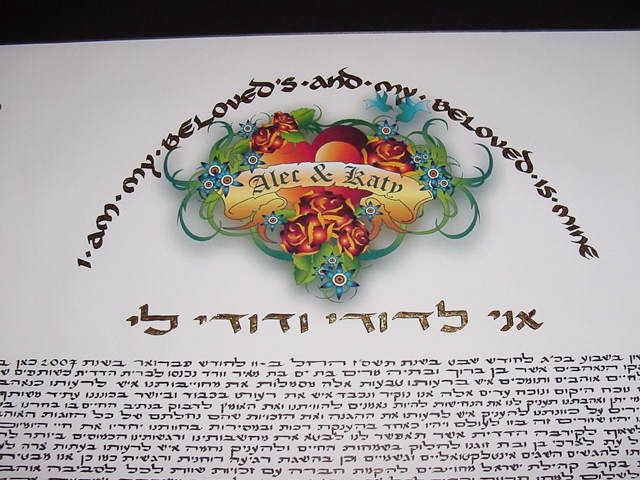 All the Hebrew is draw with the beautiful block Hebrew letters, with an optional English translation in whatever letter style you select. 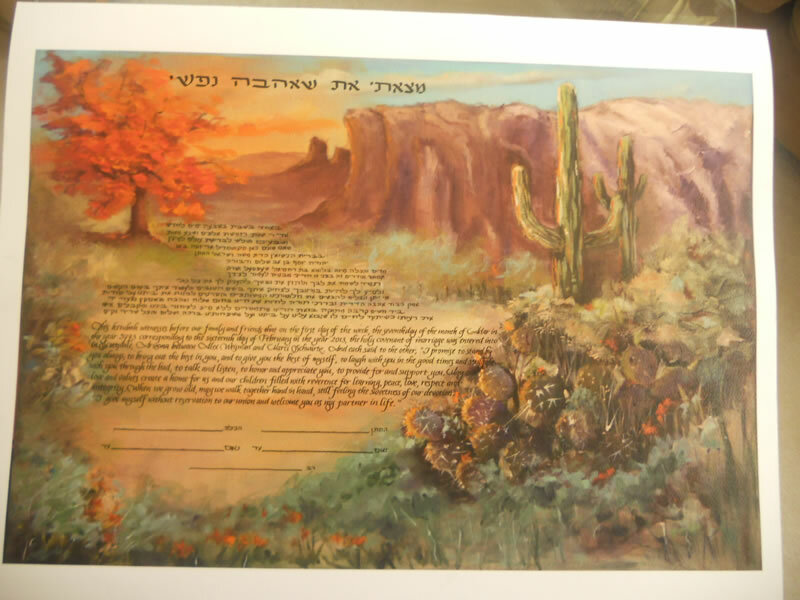 She works with a number of watercolor artists who can help create a special one of a kind border that will surround your text. 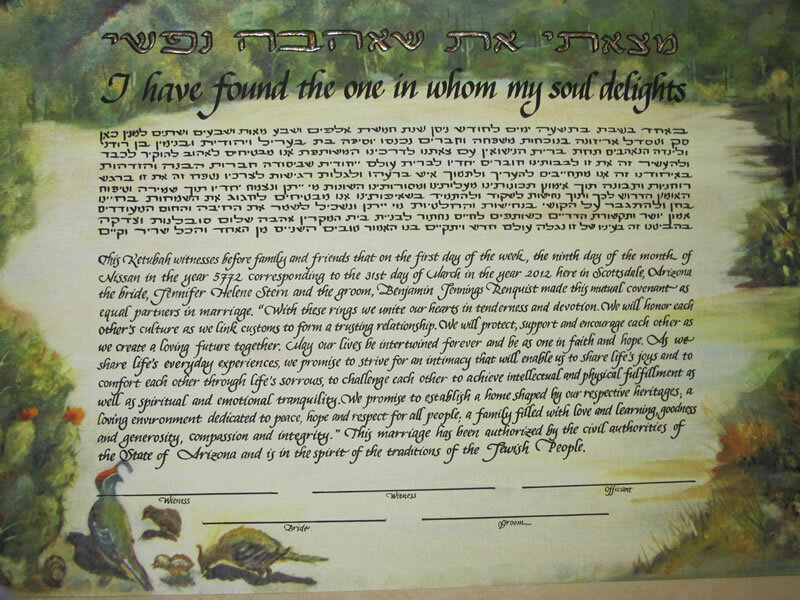 All the Hebrew and English lettering is reviewed by your Rabbi prior to the completion of the custom final draft. 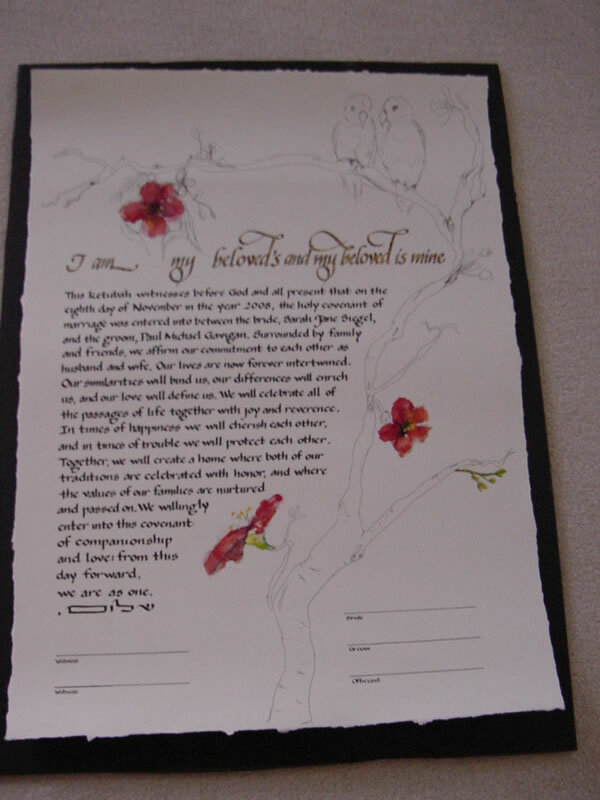 Lithographs purchased from other artists can be filled in with your wedding specifics as well. 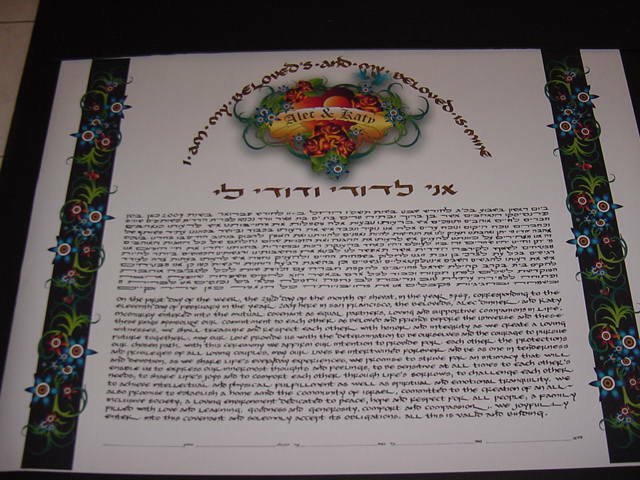 You select the lettering style, the Ketubah, or if you prefer we can talk about getting a Ketubah made for you. 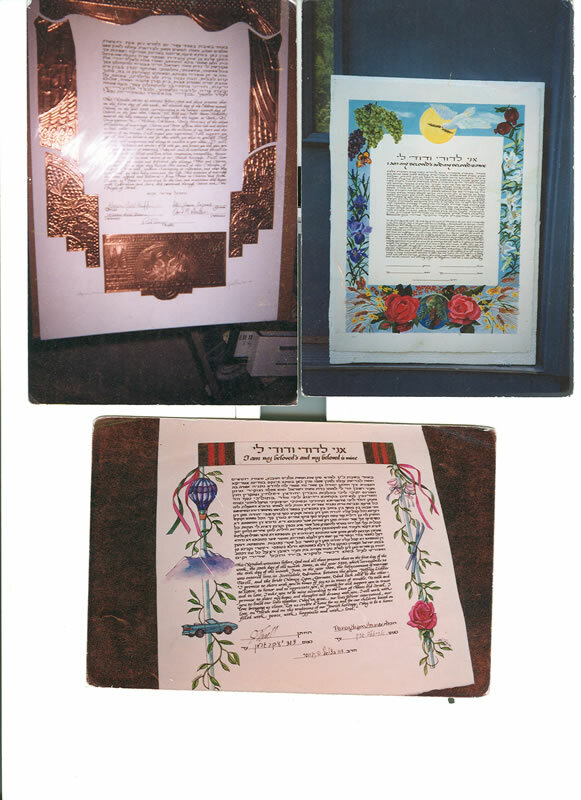 When you are ready to get started on your personalized Ketubah, go to my contact page and let me know some details about your special occasion.